Kentrol's Stainless Paintable Steel Hood Hinges for the Jeep JK is designed to replace the stock hood hinges, while providing superior quality. Kentrol Stainless accessories are Salt Spray tested which helps to determine any material flaws during production assuring the finest fit and finish possible. 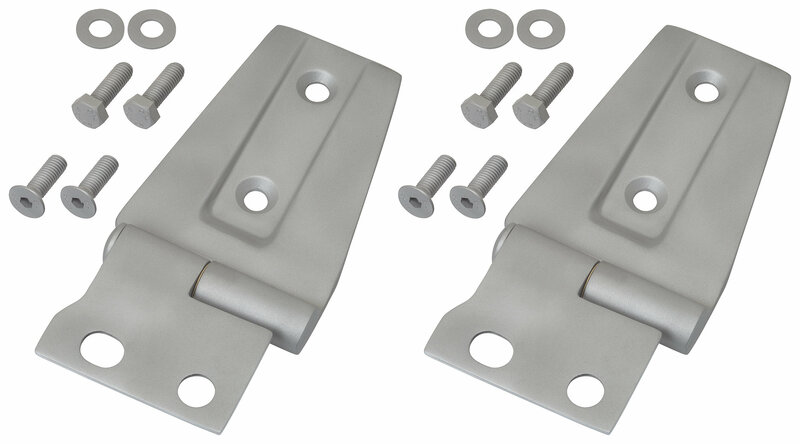 The hood hinges come complete with all hardware needed for installation. An occasional waxing will keep your polished finish looking brand new. All Kentrol products are tested, inspected and built to last a lifetime and are backed by a lifetime warranty. Available Paintable Finish.